On the Jewish Calendar, Pentecost was 50 days after Passover. According to Leviticus 23, Pentecost was a Feast Day—the Feast of Weeks to be exact. It was a day when Israel worshiped God by bringing a new grain offering to the temple. But today, this Jewish Feast is best known for what happened fifty days after Christ’s resurrection. In Acts 2, Jews from all over the world were celebrating Pentecost. And it was on this day that God poured out his Spirit. Why some confusion, and accusations of drunkenness, occurred on that day, more confusion has come since. 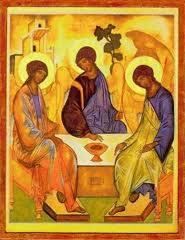 Therefore, we need to see what Pentecost is and how Luke presents its centrifugal effect throughout the book of Acts. Importantly, Pentecost was the day Jesus began to build his new covenant temple. This was the day when the church was born. And this was the day when the apostles were filled with the Spirit, empowering them to go into the world and proclaim the gospel—the means by which the church would be founded. In Acts, Pentecost is accompanied by powerful signs and wonders. Fire from heaven touches earth; tongues of fire are located above the heads of the people. Just like the pillar of fire stood above the tabernacle, and just like Solomon’s temple was filled with the Holy Spirit, so now Christ’s Spiritual temple (i.e., his covenant people) is indwelt with the Holy Spirit. And as the book of Acts displays, the Spirit they received is also shared with Gentiles as the Gospel goes forward. On Pentecost, therefore, the Gospel is proclaimed in other languages. Just as at Babel (in Genesis 11) God gave the people new languages to divide the nations. Now God is giving new languages to preach the gospel to the nations. Whereas the first ‘gift’ of tongues was a curse, now this gift of tongues is a true nation-uniting blessing. Pentecost, therefore, is the foundation of the universal church and the beginning of the Spirit-empowered mission to unite all nations through the preaching of the gospel. The apostleship was the Divine expedient to meet the emergencies of the Church at its first establishment and outset in the world, and not the method appointed for its ordinary administration; and the peculiarities distinctive of the office, to which I have now referred, could not, from their very nature, be repeated in the case of their successors, or be transmitted as a permanent feature in the Christian Church. In his discussion of the Church and its founding, James Bannerman notes the way in which Apostles played a peculiar (and unrepeatable) role. In his second volume ofThe Church of Christ, he shows from the corpus of the New Testament how we should understand these “pillars,” whom God used to found the church (Galatians 2:9; Ephesians 2:20). In what follows, I’ll trace his argument to help us better understand the uniqueness of these men. My hope is that by understanding their place in God’s new covenant temple, we will better understand our need for their message and the discontinuity of signs, wonders, and mighty works which accompanied their ministry. I believe local churches have risen and fell with commitment to the apostles’ gospel, not the continuation of their miraculous gifts. But in our charismatic age, this distinction is often missed. Apostolic Exposition: How Did the New Testament ‘Preachers’ Handle the Text? Just how dependent were the apostles on the Old Testament? This is a question that interests all types. Biblical scholars, theologians, preachers, seminary students, and devoted Sunday School teachers all take interest in how the Old Testament foreshadows the New and the New Testament quotes the Old. Anyone familiar with my blog, or at least its title (see the Emmaus Road dialogue in Luke 24) will know that this has been an interest of mine for years. After all, what could be more exciting than understanding the unity of Scripture and how God’s inspired Word finds its telos in Jesus Christ. But with such a consideration, it is important that we take our cues from Scripture and not use Scripture for our own (theological) ends. Thus, to return to the question of how the apostles made use of the Old Testament, it is worth observing how frequently the New Testament apostles took their cues from the Old Testament. Answering the opening question with in an unreserved affirmative, I will trace the way three “apostles” (Peter, Stephen, and Paul) preached the new covenant gospel from the Hebrew Scriptures. My aim is to show how Acts gives us a model for preaching the gospel which necessarily unites the Old Testament promises in the person and work of Jesus Christ. In my estimation, this kind of reading is necessary for understanding the Bible, knowing Jesus the Christ, and walking in obedience to the gospel. Let’s dive in and see what Acts has for us. Scripture is filled with imagery that sharpens the mind and stirs the affections. In Acts 20, Paul employs six images to illuminate the pastor’s role and responsibilities in a local church. These images include: Accountant, Runner, Steward, Witness, Herald, and Watchman. The first three of six have already been considered (see Part 1). Today we will consider the remaining three. Like before, biblical commentator, Warren Wiersbe, highlights images in his commentary on Acts in The Bible Exposition Commentary. 4. A Witness: “to testify to the gospel of the grace of God” (v. 24d). The work of the ministry is a work of proclamation; the mission of the Christian is to make known the gracious gospel of Jesus Christ (cf. Matt. 28:18-20). In other words then, witnessing, testifying, and proclaiming the good news is not reserved for an elite class of preachers. 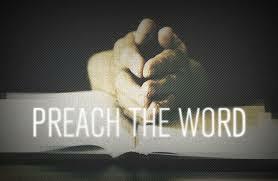 Nevertheless, the pastoral leader must prioritize preaching the gospel of the kingdom (cf. Acts 20:25; 28:23, 31). This is not a matter of convenience, gifting, preference, or position; it is the essence of the ministry and we who are stewards of the gospel must pray for and work for opportunities to make plain the gospel of Jesus Christ. 5. A Herald: “I have gone about proclaiming the kingdom” (v. 25). What is the difference between witnessing and heralding? Wiersbe differentiates like this: “The witness tells what has happened to him, but the herald tells what the king tells him to declare. [The herald] is a man commissioned and sent with a message, and he must not change that message in any way” (Warren Wiersbe, The Bible Exposition Commentary, vol. 1 [Colorado Springs: Victor, 1989], 486). Clearly, Paul in his preaching proclaimed the gospel of the kingdom (Acts 14, 17), but he also witnessed of his personal encounter with Jesus (Acts 22, 26). We must do both, one without the other skews the gospel. The faithful minister of Christ relates the authentic work of Jesus in his life as a witness. At the same time, he declares the redemptive-historic message of salvation offered by Jesus Christ, the king of glory who fulfilled the law and earned a right to be the righteous king, who died on the cross to redeem a people to populate his kingdom, and who rose from the dead and ascended to the right hand of God, where he reigns in glory today! 6. A Watchman: Referring to language in Ezekiel 11 and 36, Paul writes, “I am innocent of the blood of all of you, for I did not shrink from declaring to you the whole counsel of God” (v. 26b-27). In this final aspect of ministry, Paul summarizes all the preceding marks of ministry. He says that he is innocent of the people’s blood (i.e. the condition of their souls) because he himself faithfully “watched on the walls” by warning the Ephesian church of God’s coming judgment. Faithful ministers, by implication, must be those people who do not shrink in cowardice or waiver in certainty. They preach the whole counsel of God, centered in Jesus Christ, and they do this day-in and day-out, in public and with individuals, and they everyday until Christ returns or until their Maker calls them home. These ministerial aspects are grueling. They require more than good intentions and good training. They require a Spirit-filled life that rests securely on the word of God for all strength and sufficiency. Simply memorizing a list will not suffice. Spiritual leadership is more than reciting a list of cognitive truths; it is pleading that the image of Christ might be born in our lives and abiding in the word of God until it is. Ministry that is effective is the kind that sows the seed in season and out of season, and that perseveres in prayer for those seeds to bear fruit that lasts. These six images serve as biblical images to spur us on towards love and good deeds. May we meditate on them and pray that they are true of our ministries, as we labor for the sake of Christ’s blood-bought church (Acts 20:28).